Now.... At what number does Murky come on again? And she's been in for only half a year so far. Kate supposedly given a 2 year "grace period" where she did not have to work much. Plus there were numerous stories of her not appearing because she was "selecting her charities." MEghan worked right away and no "grace period" was given to her. Kate's numbers have been consistently low even before her first pregnancy. ^ Not sure what that has to do with anything. Waity famously wore lots of high street and Murky's been decked all out in couture. Murky has barely worked as well since marrying in. And she's racked up a greater bill than anyone else in these few short months. 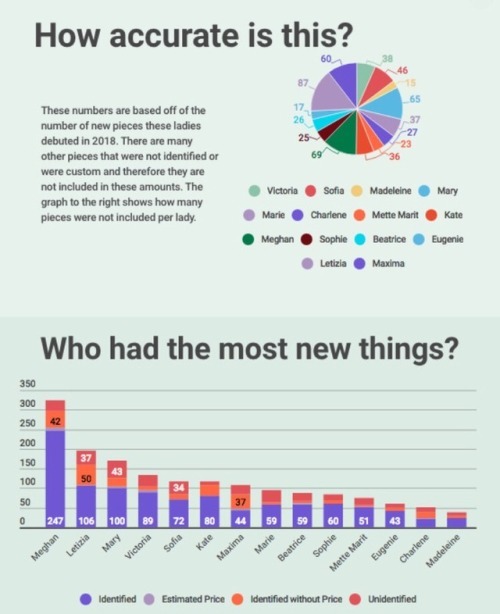 None of this changes the numbers, which speak for themselves. Can't believe that Waity comes out as the smart one. Waity is not smart. She has a very shrewd mother. 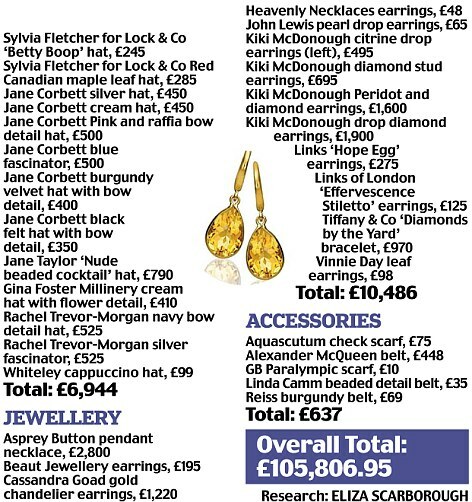 I notice the money spent on Kate's Christmas couture is not revealed. 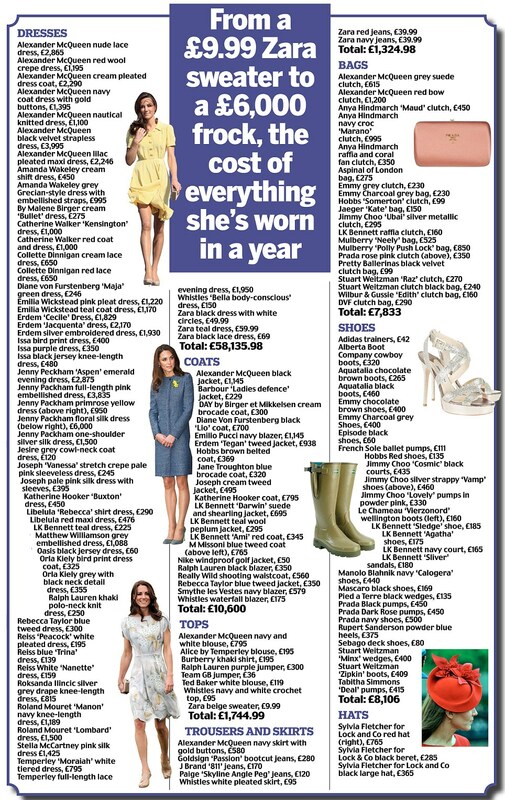 Someone did give the approval to MEghan to spend the money on clothes. She had to have permission to get the money. Question is why was she given (allegedly) more funds? Meghan worked more than Kate and did not disappear after the first tour. Kate was more invisible. No matter how Meghan is perceived, I don't think Kate is all that. Or anything to brag about. I won't partake anymore in the type of dicussion wherein all negative about Murky is all lies but so true when it's the Midds (or at least I'll try to avoid these type of discussions). I can't particularly stand either and I have always praised both parties and criticized both parties and taken stories as true or not depending on precedents & behaviour. I am still not a fan of Kate (as I don't forget for one! ), but what she's done right, she's done right. 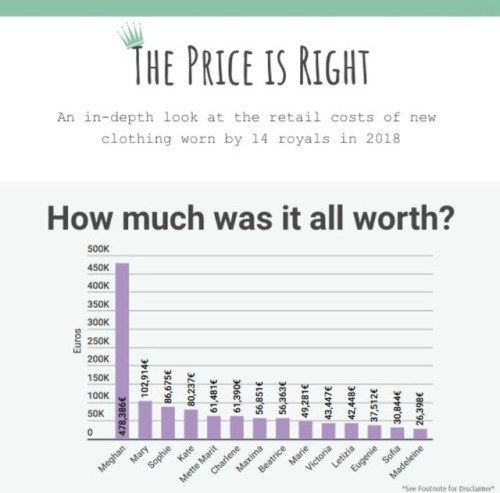 No, the cost of K's Xmas outfit has not been disclosed or speculated on (unless I missed it), but she has very similary coats already so we know an approximate cost, and K's outfit will come out quite a bit cheaper than Murky's this year. Yes, Waity has a shrewd mother behind her and likely the palace stepped in to get her out of the public eye, as her dumb blumberings caused embarrassment. Longterm it was a good strategy. What Murky spent on clothes we don't know as we assume merching and loans. Same with Waity, the Cambs have been busted to take freebies 1. directly and 2. via having them sent to the Midds. Murky works also via Jess Sluglips. In any case, Chuck will not have funded such a wardrobe. Hazbeen was likely dumb enough though. Murky has not worked more than Kate. Sorry. Murky went all in to get approval for the wedding and once the wedding was done, so was she. Harry followed protocol and asked his grandmother permission and the wedding was approved. As I recall, Kate disappeared after the 2011 tour with William "researching" her charities. Excuses started going out to the media for her not being seen. Kate was criticized early on for not doing much. I don't think Kate's laziness was "strategy" it was in her nature to be workshy. Kate got a bracelet that was a personal present from Phillip to QE. 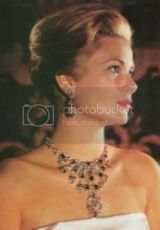 We still havent seen any good jewellry on Meghan to compare imo. ^ yep I agree I thought she had more game and unless we think it was good game to appear in the fashion awards... Lainey has another take on this. She says Meghan had very good game with her wedding and because the wedding was a success without the courtiers help now they are doing leaks. Kate has been in the family since 2011. Meghan only a few months in the family. She will get more jewelry pieces down the road. IMO. I wonder why they would dislike one another when they have so much in common; Kate and Meg landed their men via a media campaign and both were living lives that were not really promising before they latched on and neither would be in good situations if they hadn't had that ring. Meg was being removed from her series and wasn't really launching into the level that she might have otherwise been. Kate would have been very publicly humiliated and without any chance at building a respectable career and finding a good man if William had dumped her and the proceeded to date/marry someone else. By this standard, both should be the best of friends and in cahoots. The Old Woman Sag Face can't be friends with any woman other than her Slit Eyed Viper Foul Thing of A Mother and Flat Face Leatherette. 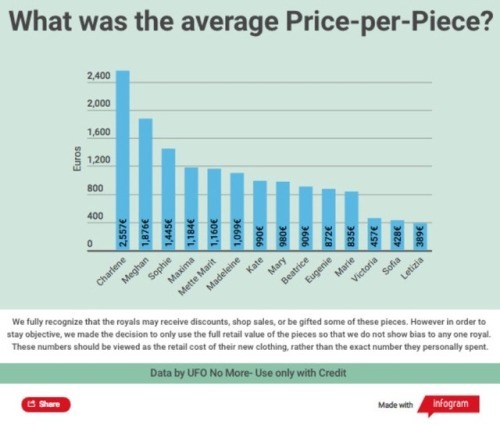 Were these amounts actually spent? Sometimes they are available at less cost. And the burning question, why was this approved by Prince Charles. Meghan could not have spent this without his approval and funding? Harry isn't without money either. Not everything must go through Charles and Haz is stupid enough. Chuck certainly isn't that generous. Or he's letting her to see how far she'll run with his money and then clamps down in punishment. In any case, her spending has been beyond shocking. No one can accuse him of treating her badly if things go south. And if she is unpopular because she spends a lot better for him. Hi Sandy, I've watched you doggedly put forward Meghan's case and for the most part I tend to agree with most of what you say. I "think" Charles probably doesn't give a fig about how much Meghan's clothes are clothes as long as she's wearing them for public engagements. If the rumours are correct the same curtisy was offered to Kate but, she allegedly took advantage of his genourosity by extending the use of the "black card" to the rest of her family which is probably why she never got the chance to spend as much as Meghan. I have to admit that I'm a Meghan and Harry fan and not too keen on Kate and William but, I'm really disliking this whole "Kate good" and "Meghan bad" storyline being played out in the press and the majority of forums. Kate has never had a work ethic and (love her or loathe her) Meghan has at least held down a job on a relatively successful TV series for a number of years. I think this embarassment to our future Queen Consort is why we're getting so many negative stories about someone who will never be Queen. Well the way I see it, if Charles is a cheapskate with others (I think he is) why would he give unlimited funds to Meghan? MEghan could not just charge her way to getting these outfits without some approval from Charles. I agree with you about Kate. The "fall out" from the Meghan criticism is the overfawning over Kate on the DM comments. Kate has not changed and is still one with a low work ethic and she has done little even before the children were born.